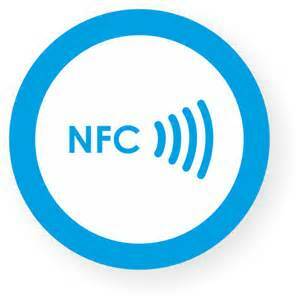 Near field communication enables the Wizabiz card to launch the App automatically with an NFC enabled device. 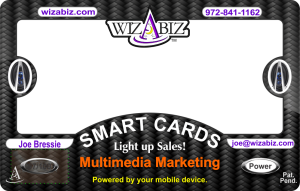 Wizabiz Smart Cards can have NFC antennas embedded into them. This allows the cards to launch the app, a website, contact info and more. There is minimum interference with the artwork because of the small size of the NFC.